« The Realities of Patriarchy:Why Judge Only Women? 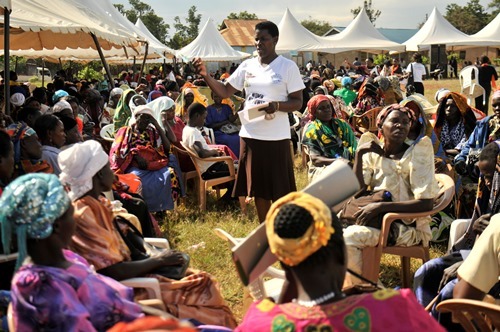 Women Empowerment and Gender Equality: What is the Missing Link? 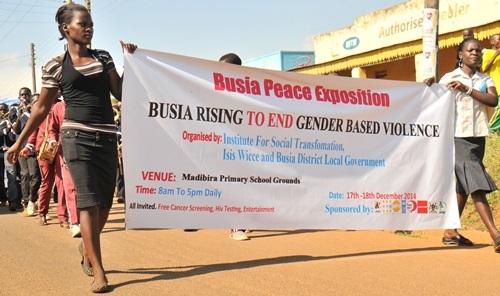 In december 2014 I was in Busia district, Eastern Uganda on a campaign to end Sexual and Gender based Violence (SGBV) organized by the Institute for Social Transformation (IST) and Isis-WICCE in Partnership with Busia Local Government. The aim of the campaign was to mobilize communities in Busia district to discuss strategies to address the increasing SGBV cases. According to Police files, on a daily basis at least three cases related to SGBV are reported and over 80 cases a month. These are only the reported cases and remember that so many cases remain unreported. Dressed in their usual African dresses and non-traditional African attires in different styles, designs and colors with majority putting on head covers, the women listened attentively in the discussions and actively participated in different activities such as the march and group discussions. I kept observing the crowds of women and then, I remembered that 20 years ago, the Beijing Conference took place and was a seen as major breakthrough in the history of gender struggles and women’s empowerment. The conference came out with what is known as the Beijing Platform for Action. The Platform established twelve Critical Areas of Concern that needed to be addressed in order to achieve political, social, economic, cultural, and environmental security among all people. These Areas are poverty; education; health; violence; armed conflict; the economy; power and decision-making; mechanisms for women’s advancement; women’s human rights; mass media; the environment; and, the girl child. For each critical area of concern, the problem was diagnosed and strategic objectives and concrete actions were e proposed for Governments and others stakeholders. I asked myself, do these women know that there is Beijing Platform for Action and other human rights instruments that guarantee protection and promotion of women’s rights and gender equality? As confirmed by Dr. Thelma Awori, the Executive Director of IST, women in Busia are afraid to stand up for their rights, afraid to take advantage of the laws that are in place and have resigned to violence that ‘what can I do, I just have to suffer’. This state of hopelessness is what many women globally experience every day. Statistics from UN Women reports indicate that between 15 and 76 percent of women are targeted for physical and/or sexual violence in their lifetime and most of this violence takes place within intimate relationships. Therefore as the world reviews twenty years of Beijing Platforn for Action code named ‘Beijing+20’,many questions remain unanswered. Why aren’t these frameworks changing the lives of women? What can be done differently? Are there any hopes of breaking through patriarchy? Are women losing the struggle against gender equality?